WordPress is the best website design format when it comes to flexibility, features, and security. Most people prefer WordPress website design as it is open source, easy to customize and maintain, and search engine friendly. You can choose from among thousands of plug-ins to enhance and improve usability and functionality of a website. The website design platform allows you to incorporate many exciting features into your website that makes it fun and exciting to navigate for the online users. If you want to create an online store, you will first need to select an eCommerce theme. You can find dozens of WordPress eCommerce themes online. However, selecting the best WP theme for your website can take a lot of time and effort. 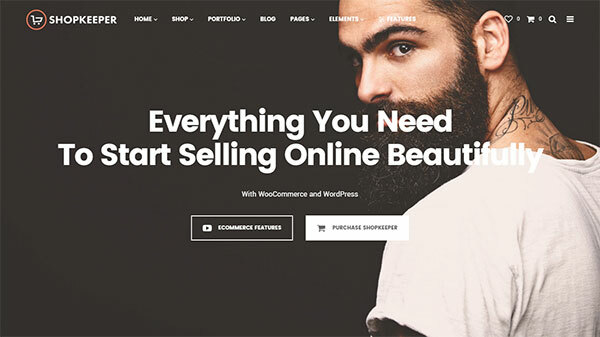 In order to save your time in selecting the best theme for your eCommerce site, we have handpicked 15 premium WordPress themes that would help you sell products to your target customers. 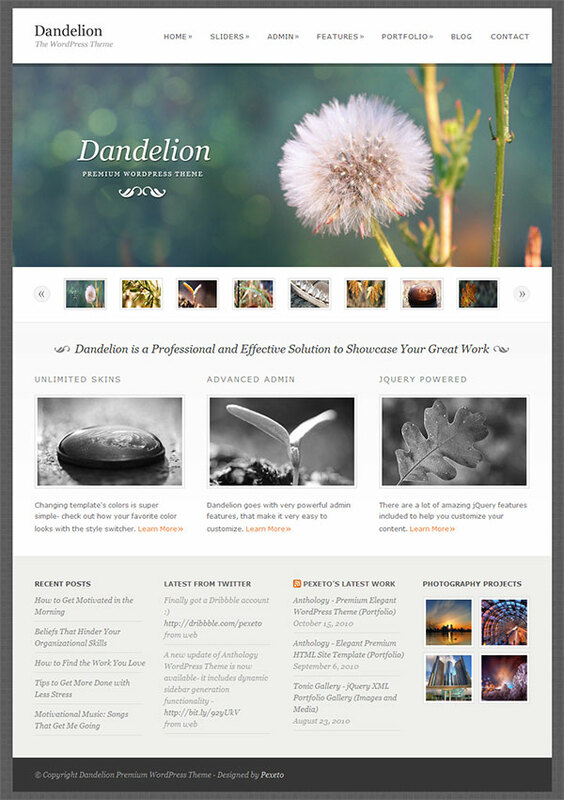 Dandelion is a great WordPress eCommerce theme to showcase your products and services to the customers. You can fully customize the theme to your heart’s content. This theme is ideal for photography, business, financial services, and portfolio sites. 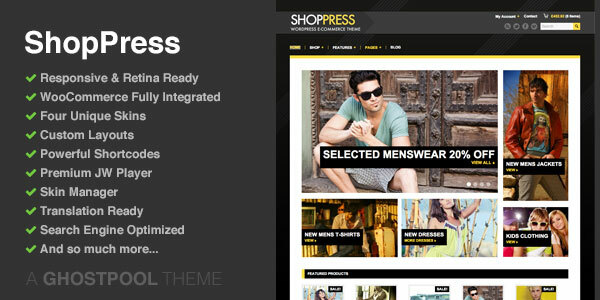 Shopkeeper is another great WordPress theme for an eCommerce site. The theme is well designed that you can use to showcase your product or services. You can also customize the theme according to your requirements. With the advanced theme options panel, you can make it easier for your online customers to find the products they want in the website. The Shopkeeper WordPress theme is ideal for online stores as it offers full width slider, product catalogue, and parallax ready. 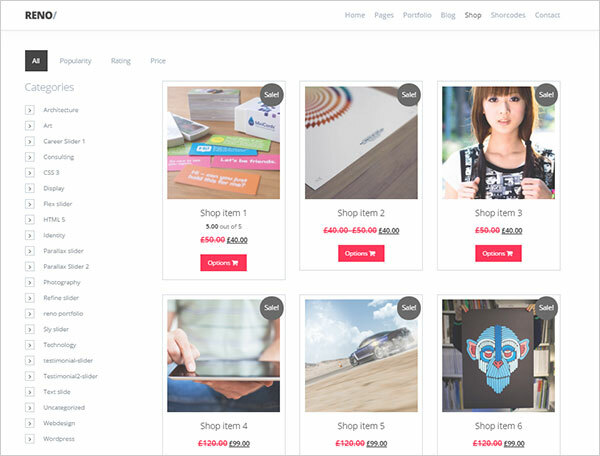 Reno is another great eCommerce WordPress theme. The theme has a clean and clear layout with advanced features that will make it easy for you to woo online visitors to purchase the product or services offered on your site. Some of the appealing features of this WordPress website theme include parallax scrolling, retina ready, Bootstrap base, translation and slider ready and many more options. 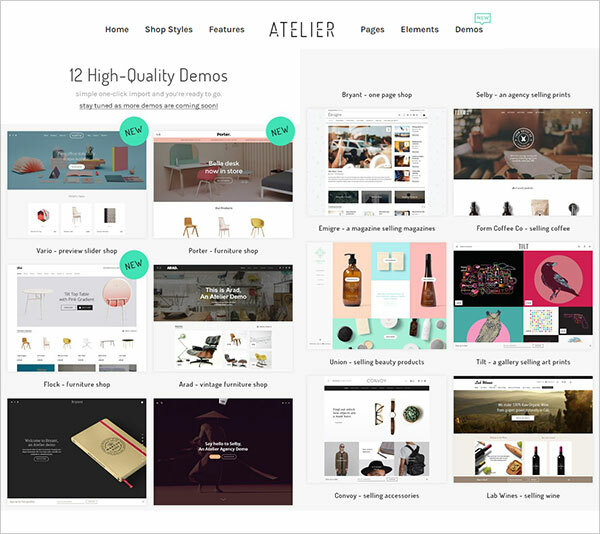 Atelier is an amazing WordPress theme that is packed with top-notch features that create a positive user experience. The website theme features minimalistic, sleek, and modern layout that is perfect for any type of eCommerce store. You can choose from among many different types of headers, carts, icons, and animation styles for your website. 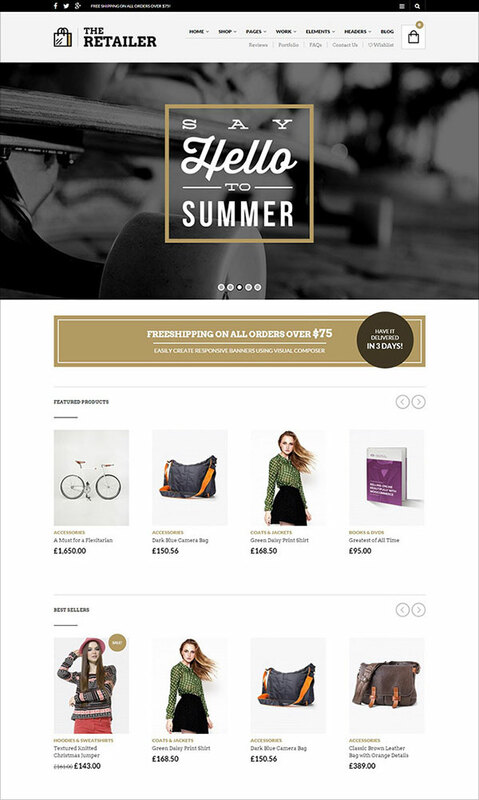 In short, this is a great eCommerce theme if you want to impress your customers with amazing functionality and design. 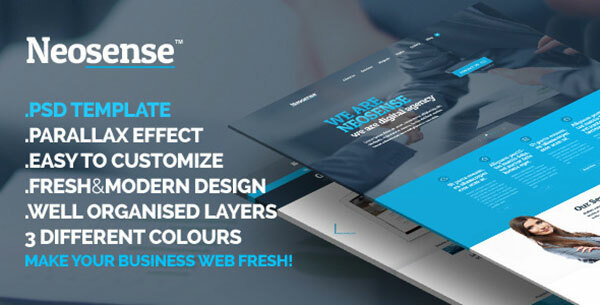 If you want a theme that comes with superb one page parallax scrolling, then Neosense would be best for you. The WordPress theme is ideally suited for eCommerce sites and can be fully customized with just a few clicks. 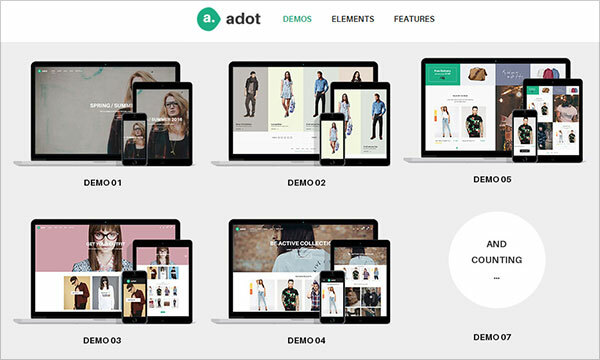 Adot is a great WordPress theme that is perfect for all kinds and sizes of business. The website theme features clear design and layout. Moreover, you can intenerate the website AJAX and WooCommerce shopping cart out of the box. Products can be displayed in a carousel or on their own, feature hover effects, automatic portfolios, different color schemes, and header styles. It is certainly a great WordPress eCommerce site on all accounts. Precise offers the perfect combination of appealing design and functionality. The WordPress theme offers an ideal platform to offer goods and services to the customers. You can choose from among different trendy plugins that enhance functionality of the website. For anyone that wants to market products and service in the best light possible, Precise is certainly a great WordPress website theme. The Retailer is certainly not an oxymoron and is one of the best WordPress themes for online retailers. It is packed with customizable features and tools that create exceptional online retail experience. Some of the value added eCommerce features you can find in this theme include product catalogue, portfolio, full width slider, and header navigation. 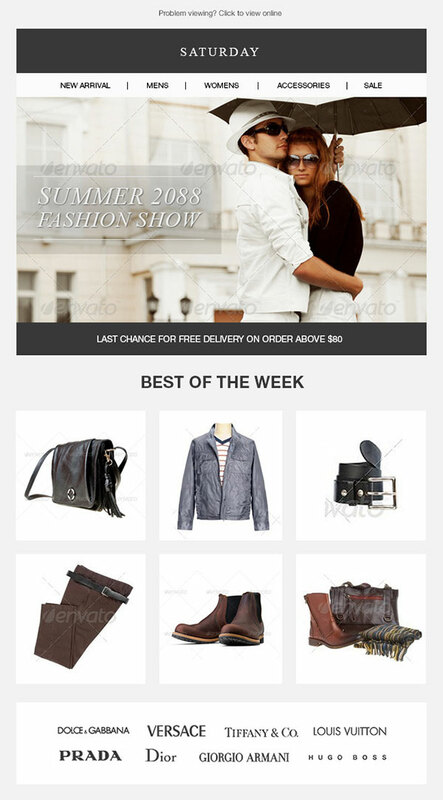 Saturday is another good WordPress eCommerce Email Theme. The theme is perfect for online businesses that offer fashionable accessories and items. The design of the website is simple that integrates with many powerful plug-in tools. Choosing this eCommerce theme is a great way to sell products and services to the online customers. If you have made it this far, you certainly want the best theme for your eCommerce store. 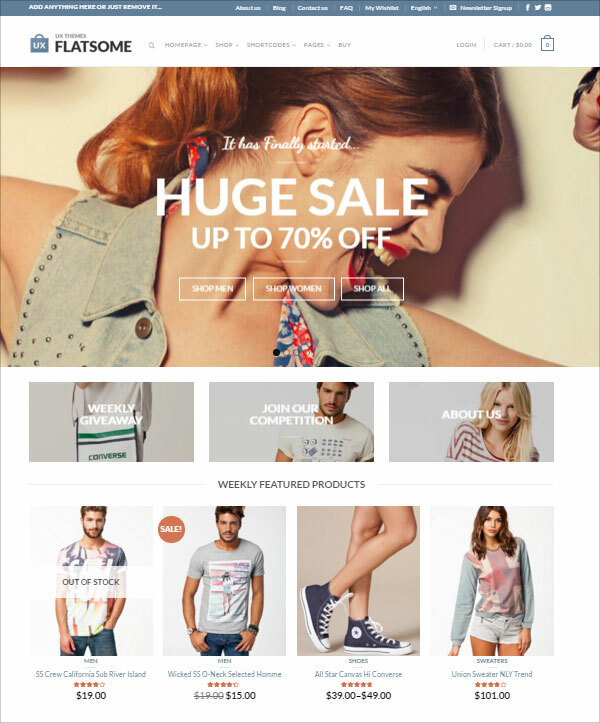 Boutique is one of the best WordPress templates to setup your online store. The theme is packed with intuitive features that will ensure exceptional user experience for any size and type of online business. If you are looking for a WordPress eCommerce template that is built on CSS3 and HTML5, then Blume is certainly right for you. The theme is especially suited for creative agencies that offer photography, printing, and other similar online services. Magnium is fully customizable WordPress eCommerce theme that features fluid, powerful, and modern web design elements. The template is suited for many different types of eCommerce firms including service stores, creative agencies, and many other type of firms. The theme can handle distributed transactions of various products and services. 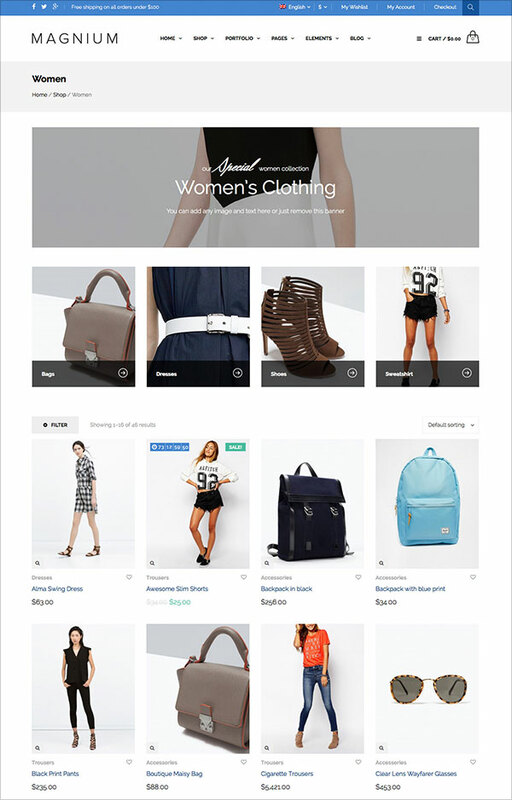 ShopPress is a responsive WooCommerce WordPress theme 2016 that provides a great platform for online retailers to offer their goods and services. The site feature integration with PayPal and Carty. Moreover, you can easily customize the theme and add additional content as and when required. The flexibility and design of this theme makes it perfect for almost any type of eCommerce store. If you are looking for a multipurpose WordPress template, Ducan is just right for you. The theme has 19 sui generis layouts that are created for separate eCommerce niche. 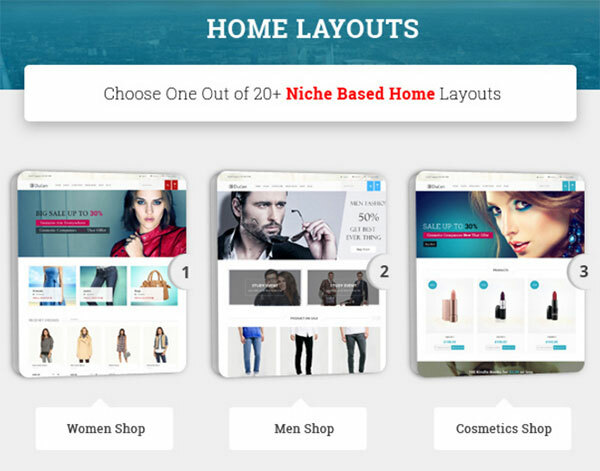 You can select a layout that best suits the type and size of your online eCommerce store. Magnolia is a great parallax WordPress eCommerce theme. 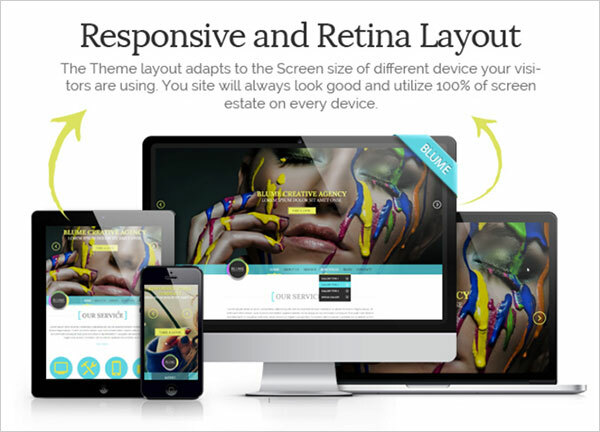 The theme offers plethora of different layout options. The theme works best for just about any eCommerce store. The incredible portfolio section can be customized to suit your requirements and needs. Great list ! All themes are multipurpose and can be used to create excellent WoocCommerce websites.